This rainbow swirl cake is easier to make than you may think! Dress up a boxed cake mix. My baby boy turned 2 this week. He lives his life with such joy and you just can’t be near him without laughing. And he’s wild. He deserved a Rainbow Swirl Cake. I love how he sings his ABCs at the top of his lungs. I love how he says “Hi! How you doin’?” to every single person he makes eye contact with. and tells people to clap whenever he completes a puzzle. I love when he gives me that ornery little grin when he’s been caught. and his ticklish little baby toes. and how he can fall asleep upright in his rocking chair reading a book. 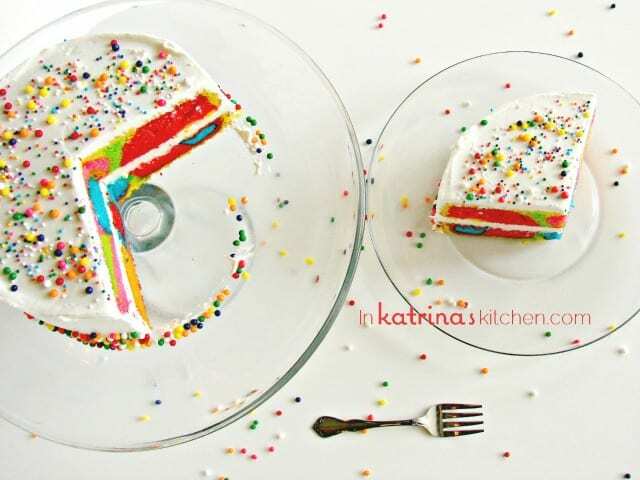 This rainbow swirl cake is easier to make than you may think! Prepare your cake batter as you normally would and divide into however many sections that you would like. Use food dye to color your cake batter. If you use gel or paste then you will only need 1 drop per section for a brilliant, deep color. Drop your batter into the pan one color at a time and bake as normal. I used Americolor GEL food coloring which can be purchased online or at Hobby Lobby (Amazon link provided at the end of this post). 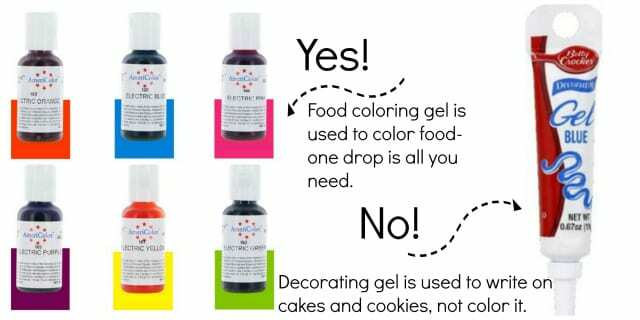 Food color gel is NOT decorating gel. Wilton also makes gel food coloring (available at Wal-Mart, Michaels, and JoAnne’s). I do not prefer it but it is more readily available and would produce better results than using liquid food color found in most grocery stores. You use one teeny tiny drop of Americolor gel food coloring to get these vibrant colors. To get a vibrant color with liquid food coloring you may have to add up to a teaspoon of coloring (which I do NOT recommend). The color may still not be as vibrant and adding that much liquid will change the consistency of the dough. I am including the links to the basic color pack and the “electric” colors. I use both sets in my kitchen. To see some more colors check out my Rainbow Chocolate Chip Cookies. You have the prettiest rainbox food! Last month you made something so pretty with rainbow colors, too, if I recall correctly! OMG that looks totally delicious and cool! I know my boy friend wanted me to make a cake like this for his birthday, so I will! Can't wait! I love how vibrant the cake is even after it is baked! So simple and yet so beautiful! Happy birthday to your little one!!! Love it!! The colours are amazingly bright. Such a fun cake for a birthday! Love it! You should have included the picture with his face in the cake! That just made me smile 🙂 Love the bright colors! Gorgeous cake! I love the different sized sprinkles! So cute! That's gorgeous and looks fantastic on the clear cake stand. And I totally hear you on watching YGG while not sitting still, how do they do that? I could not wait to see this after I saw the IG post. Amazing work here Katrina. I love this and your creativity! It looks beautiful! Great photos! Love this cake and the colors!!! Americolor is great! What a colorful cake!! Beautiful! My love for sprinkles and bright colors has no limits, these cake looks amazing! Wow! So simple, but looks so amazing! Awww what a happy cake. Happy Birthday to the little man. That is so much fun! And I am amused that you used chobani cups for the different colors because when I painted my most recent painting I had tons of those cups with different colors of pain lying around. Definitely not edible though. The cake looks amazing. Perfect for a 2 year old birthday. Great picture of him! Beautiful, colorful cake and happy birthday to your son!! Happy Birthday to your son! This cake looks so much easier than the layered rainbow cake. I love all of the bright colors. I just love that picture of him enjoying his cake!!! Gorgeous cake, and also, a really cute post. 🙂 Made me smile – I have a 17-month-old climber so I know that little grin! Thanks for posting! My recent post Bacon Pancakes! Let me say that I am old so there are very few things that surprise me these days. This is one of the most creative things I have ever seen! I can't wait to make one for my great niece, Cali. It is truly a work of art. Thanks so much for sharing this! Oh my goodness! I just made this with my soon to be 9 year old. He had a blast doing it and so did I! I took lots of pictures. He's so excited to cut into it tomorrow! Omg!! I love the cake!! I want to bake one like this for my friend. But I have a question, the colors don’t get mixed in together once you put them all together in the pan? Nope! I used gel food coloring (it doesn’t thin out the cake batter like liquid food coloring would). Just drop the batter in and try not to shake it around before baking. Have fun! Love this idea! Any suggestions on how to do this with cupcakes? I haven’t tried it with cupcakes yet but I would just start with small amounts of each batter color and use the same method. That’s so lovely and beautiful cake. İ’m going to try it as soon as possible for my spring tea table. Absolutely amazing. Absolutely (bleeping) AMAZING. This made my day… my week…my day again. Thank you. And, I steer clear from the artificial dyes, but I can’t help but LOVE your cake slice. Wouldn’t have the same visual impact without the fake color. Seriously, the best photo/design/styling among all the “rainbow cake” images on google (at least the first 400+ photos). Just brilliant. My 6-year old and 3-year old saw this and were gobsmacked. Thanks for posting this, I’ll be making this cake this weekend to celebrate the 3rd birthday of my daughter and niece! Wow this is truly special , what are peoples thoughts on making this for an adult? What was used for the sprinkles? Stopping by to ogle again and ask about permissions. Would it be ok with you if I posted the cake slice photo (on clear glass plate) on my Facebook page, with due credit, of course. I think it’s a beautiful creation & photo and wanted to share. No intent to sell or profit from it. And, no problem if it’s not ok. Thank you! Thank you for stopping by! I’m always happy for my readers to share the content here with a picture and a link back to the full recipe. I appreciate you asking- and thanks for sharing! I am going to make this for my neice’s 10th birthday this weekend but I am wanting to make a single layer cake in a rectangular pan. Any tips on how I should pour in the different color batters with this type of pan? THANKS! I was out of town this weekend! Did you end up making it? I would love to see how it turned out- pop me and email or post a pic on my Facebook page if you get a chance. My advice for anyone attempting this in any size pan is to just drop the batter by spoonfuls all over the pan. No need to stir. 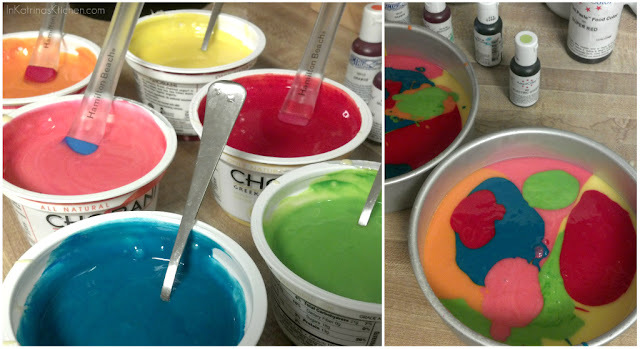 As the cake bakes and the batter spreads it will create the pockets of color. Hi, this cake is FAB! I want to make it for my God Daughter but i am worried about the colours mixing? Was there a way of them not combinning when you put them all in one tin? I just made this and it was a hit!!! The colors don’t mix all together like you might expect, they form pockets of color even when you pour colors on top of other colors. Just make sure you use the gel food coloring. The regular food coloring will water down the batter. One of the most beautiful rainbow cakes I’ve seen! That makes me so happy! I’m so glad you’re here!! I plan to make this cake but before that, I had a question – was there a specific method you used to drop the batter into the pan? From the final outcome it looks like you randomly dropped blobs of coloured batter into the tin. Am worried that dropping it in incorrectly may result in a sludge of colours and ruin the cake’s appearance, so any guidance is appreciated. Yep I just dropped big blobs (like that technical term?) of batter into each pan. I didn’t run a knife through or swirl it around. Ok, I just scrolled above and got my answer from a previous comment! Made it with my four-year old acting as assistant! Turned out wonderfully! Great make-at-home cake for kids. I’m so happy to hear that you and your child enjoyed baking it together! Hey there! 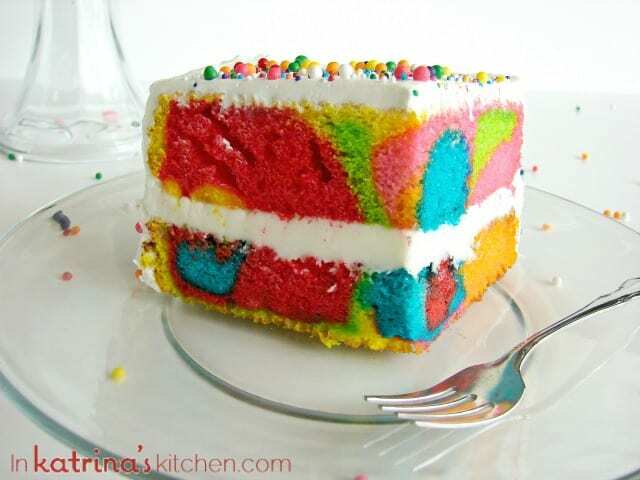 It’s my first time on your site – I found it through a “rainbow cake” Google search. Your recipe and presentation looks awesome, and I really want to try to make this cake. My only problem is that I can only find powdered food coloring in my area. Is it possible to substitute powdered coloring for the gel? Do you have any tips? Thanks for stopping by! Other readers have sent my pictures of their cakes using liquid food coloring. The method will be the same for you. The colors just may not be as vibrant. I’ve never worked with powdered food color. Good luck! I’m happy to hear that you tried it and loved it! Thanks for letting me know. Glad to know it turned out well and that you liked it! 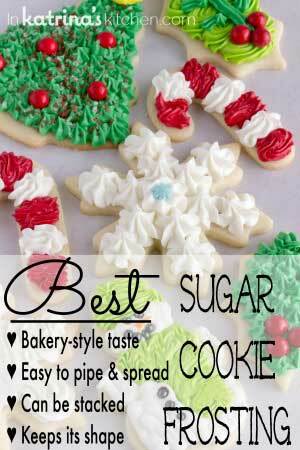 Hi, I tried this with 1 box of Pillsbury’s white cake mix and Betty Crocker Gel Food colors. My results, frankly, were miserable. It took a really long time to get the batter to the colors I wanted, and after it was baked, It was really flat. Any suggestions? How many cake mixes that you use. My hunch is that I over-mixed the batter to get the color in. Hi Lucy, I have received a few emails about this from other readers as well. Please note that Better Crocker Decorating gels are NOT food coloring. They are used to write on cakes/cookies/etc. I’m sorry that your experience with this cake was not good. I have updated the post howing exactly what colors I used. I hope you will try it again. Thanks for reading! Hi Mackenzie- I have updated the post showing which food colors I used. Thank you for reading! I’m from England and we tend to use the liquid food colourings, will this make a difference or do I need to get hold of some gel colourings? I have updated the post to show exactly what colors I used. Some others have made the cake with liquid coloring and the colors turn out more pastel rather than vibrant. Just FYI! Thanks for stopping by! I surprised my family with this colorful cake this week and included it in my recent blog post. Thanks for sharing how you did it! It looks great! Thanks for letting me know! What a beautiful cake! I want to make it for my son’s 4th birthday (he has chosen “rainbow” as his new favorite color because he just can’t decide which one he likes best!). Did you use the electric colors for this cake, or the regular soft colors? Thanks! Hi Celine, I think we talked over email? I used the electric colors except for the red. 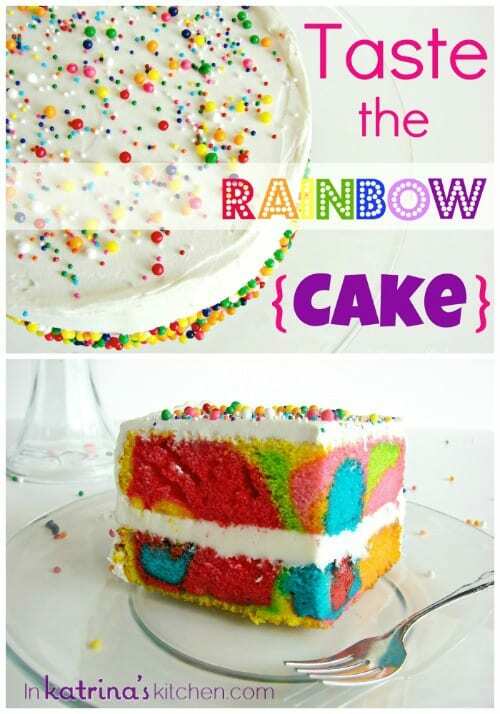 Great tutorial on making this delicious looking rainbow cake. This cake is so beautiful! I can’t believe that it’s so easy to make. My grandchildren will love this cake and I can’t wait to make it for them. Thanks for sharing all you awesome recipe’s! My daughter and I were making this cake and baked it without the food coloring. Any way to fix this and have the colors there? Wow! Is what I can start off by saying…. you are such an inspiration! Do you mostly focus on desserts? That is my favorite!! How do you find the time to think, create and demonstrate it all? Looking forward to future recipes. 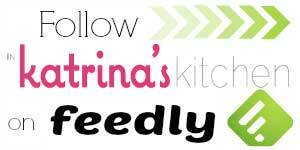 Thank you for sharing all your recipes. I am wanting to start-up a food blog, but trying to find the time to get all organized and get it up and running…. I just tried baking this cake tonight for my 12 year old daughter’s Katy Perry Themed birthday party tomorrow! So far it looks great. Can’t wait to cut into it tomorrow!! So easy to do! The only thing that I tried differently is gently running a toothpick through the batter before baking to give some swirls. We’ll see…. Thanks so much!! Katy Perry birthday party? Sounds fun! Thanks for making the cake! I love the colors and pattern of this rainbow cake. I want to try my hand at it!!! I hope you don’t mind, but I reposted the recipe and one of the photos on my blog. If this isn’t allowed, please let me know. I am giving you a credit and will give a link to this post and will link the photo back here. I’m going to follow you. 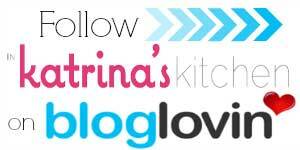 I like your blog!!! Hope you and yours have a Happy, Healthy New Year! Wow, i see the cake is full of color. I feel so attracted to make it. 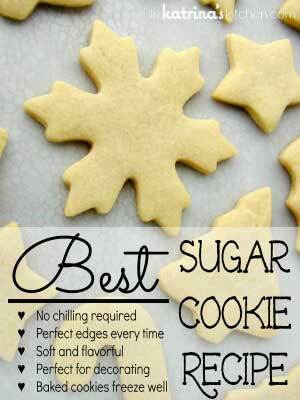 Thanks for sharing this recipe to me. Can you do this in a 13 by 9 inch cake pan? If so, do you think that instead of splotches of color that making stripes (as in a rainbow) would work in the larger pan? What a fun cake! My son turns 6 next month, so will be giving it a go then. Think I will order the gels online as I haven’t seen them in the UK supermarkets and want to make sure it’s as colourful as possible! Thanks for sharing! Made a rainbow swirl cake for my dads 60th and turned out amazing. We used 4 colors and just dropped them all over in. I order. I was disappointed when I pulled them out of oven as colors looked to have severely muted and browned but it was just the outside. When I leveled the top I was all giggles and excitment! Thank you for the great fun idea!!! Hi! I plan on making this cake, but I was wondering, did you have to use two boxes of cake mix to get two layers? 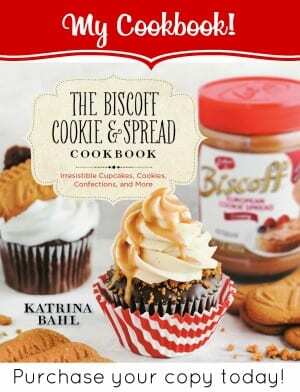 Besides that I’m really exited to use this recipe! Your rainbow swirl cake recipe just won my 10 year old son the kids bake off at his local school!! !$150 voucher at a cake store and lots of utensils!! He is so thrilled!!! Best tasting and he only did one layer but it came out lovely!!! Just used your way of doing the layers. Thank you!!!!!!!!!!!! Hi, what cake mix did you use? Thanks for this recipe. Could I use a rectangular 13 x 9 pan? Have you tried it that way? I love it that you posted this recipe in celebration of your son turning 2…. and the reason I’m here is because my little boy is turning 3 and asked for a rainbow cake! I bet our boys would be great friends!